Crutch Kit by Medline includes crutch tips, crutch hand grip and crutch underarm pad. 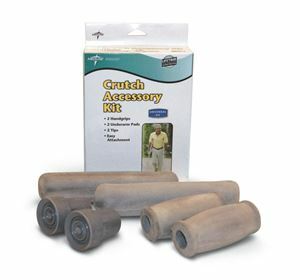 Crutch is basically used by those who needs support to balance their body while walking. Fits most of the aluminium crutches.